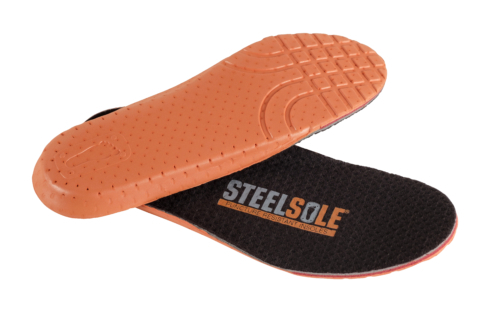 SteelSole® Puncture Resistant Insoles. 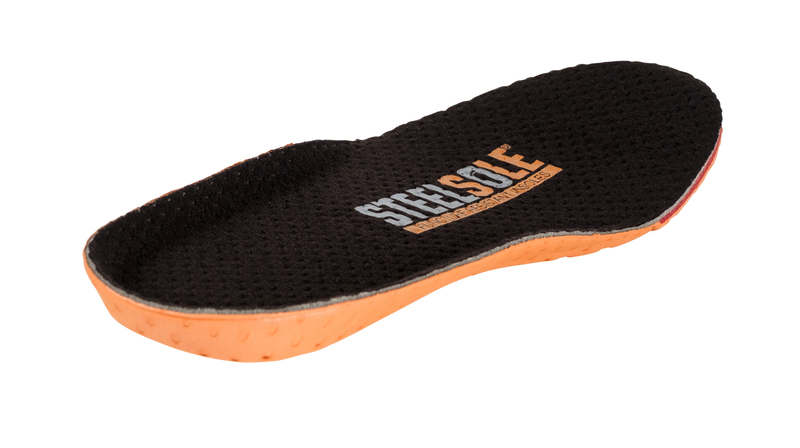 Protect your feet with these easy to use, durable, and comfortable insoles. Stop looking down while you are trying to work. Why worry about where you are stepping while on the worksite. 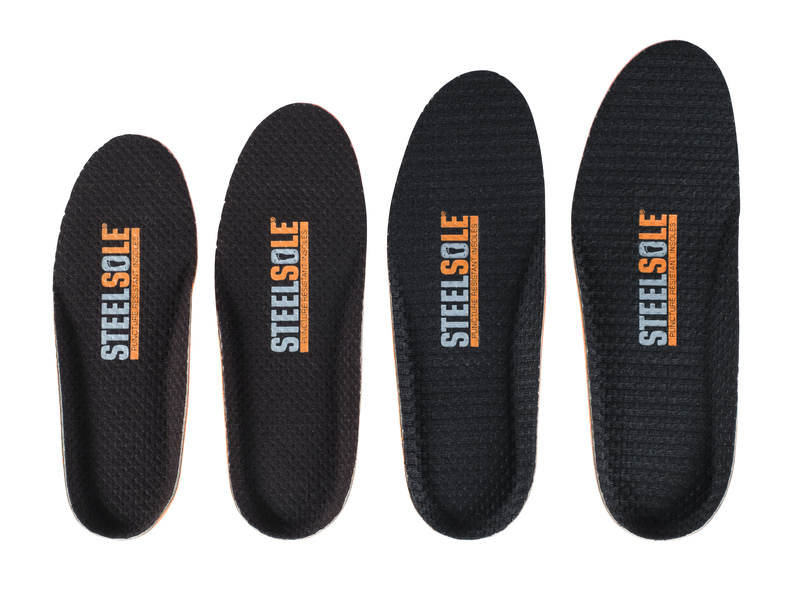 Improve your efficiency and confidence by using SteelSole® inserts in your favorite pair of shoes. 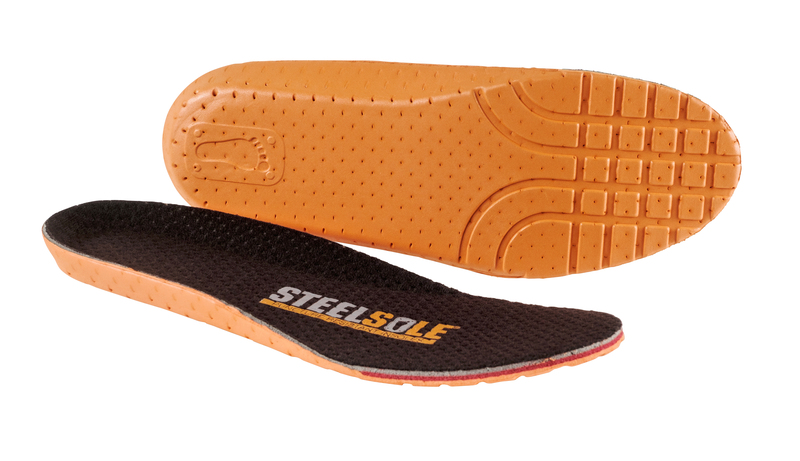 SteelSole® Puncture Resistant Insoles are light, flexible, and comfortable. 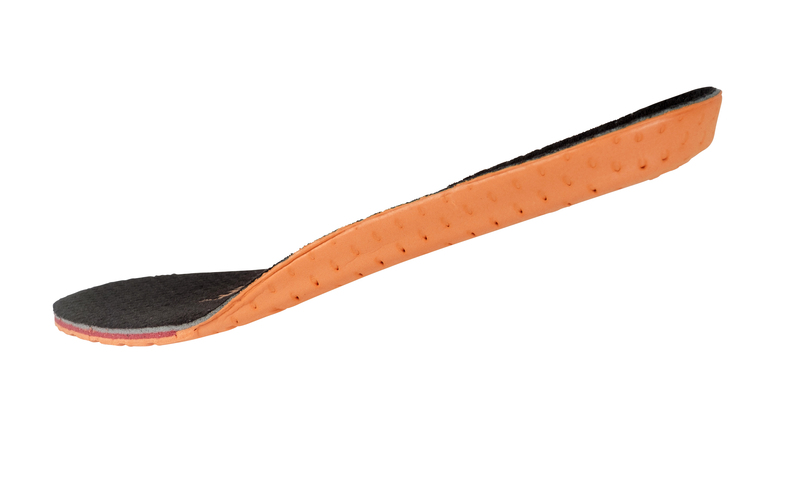 They can be worn continuously in your casual footwear or be worn anytime there is a risk of foot contact with sharp objects. 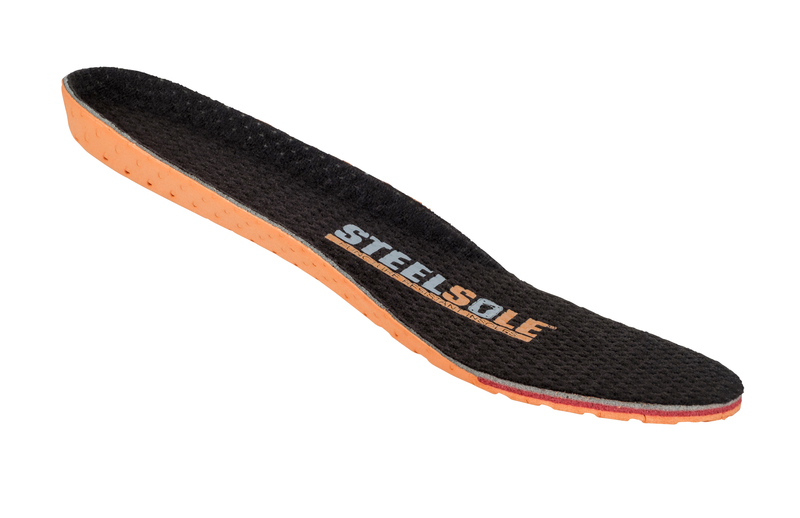 SteelSole® Puncture Resistant Insoles are scientifically engineered to protect your feet against puncture wounds caused by accidentally stepping on sharp objects. 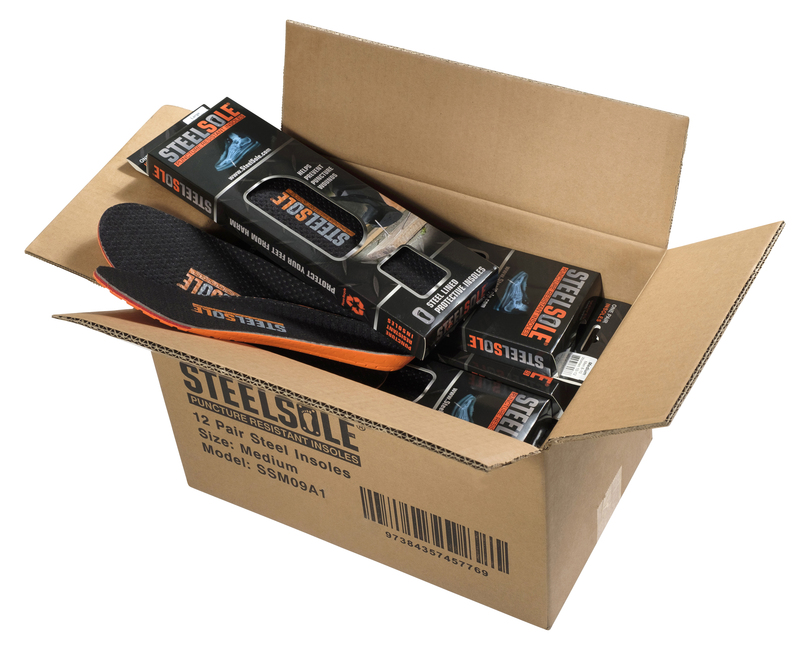 SteelSole® Puncture Resistant Insoles are a perfect accessory in the household toolbox and can be used as necessary by the homeowner for those indoor and outdoor jobs where puncture hazards can occur at any time. Sharp nails, screws, shards of glass, syringes, needles, wood, spinters, rusted steel scraps, etc. are all real life examples of hazards that cause inujries every day at home and at the workplace. I love this product. It saved me from TWO different major punctures wound while I was insurance adjusting for Hurricane Sandy. While backing up with a ladder, I stepped on nails sticking out of the debris. SteelSole saved my sole 😉 Thank you SteelSole! These work better than I expected. Wow, what an amazing product that protects me on the job site. 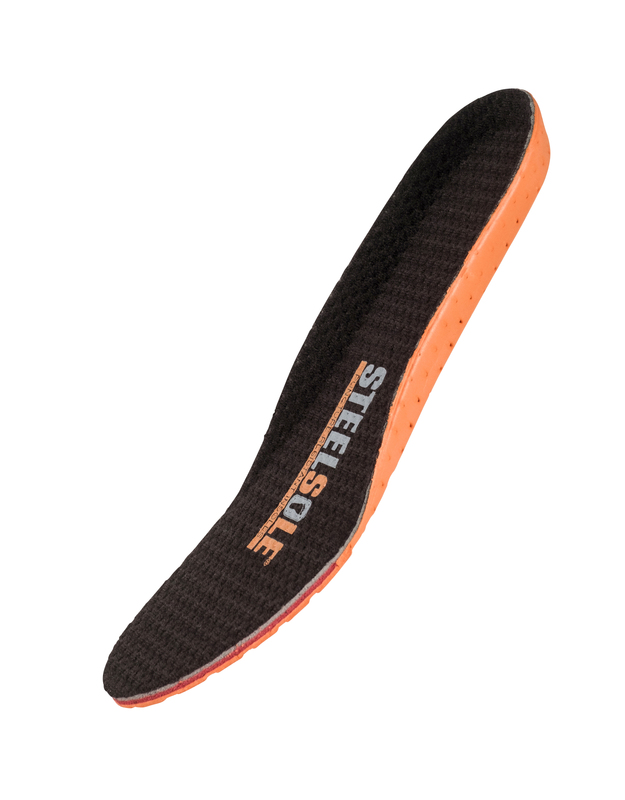 I bought a pair of Steelsole for my husband because he was remodeling the basement and I was worried he would step on a nail. He couldn’t be happier. He told his brother and he ordered a pair also. Thanks. SteelSole is absolutely wonderful! It is a must buy. One time I was inspecting a construction site wearing regular sneakers and a nail punctured through to my foot. Luckily it wasn’t that serious and I knew that I must purchase SteelSole right away! A must have for diabetics with peripheral neuropathy! For many years I went on 1-hour long walks every night, after dark. Half the time it’s too hot to go on those walks during daylight hours (I’m not talking window-shopping-speeds here). I got mesquite thorns in the bottom of my feet so many times; they’re so tough they managed to penetrate even the toughest shoe sole. At some point in time, after getting diabetic neuropathy, I stopped going on those walks. Because I got cuts and bruises and thorns in and on my feet that I just didn’t feel anymore. And then they’d get infected; and off to the doctor I went. But even though I stopped the nightly walks I was still on my feet all day. I provide IT services for many companies in the area, including clothing stores. Stores I don’t really like; because what’s on the floors of those clothing stores, just waiting to puncture your shoes – and feet? Those pesky pins from the security tags! Employees just drop them everywhere. And they’re sharp and strong like nails! For a while I looked into buying really heavy-duty work boots with built-in steel soles; but that would look out of place with my “business casual” uniform. So I stopped my search altogether. Until early 2016, when I woke up one day with a painful left foot. Doctor said “most likely gout”, sent me home with pain pills and gout medicine. Yeah, gout…. NO! Five days after that doctor visit I got out of the shower, finding what looked like a splinter sticking from the top of that left foot. I got tweezers, and started pulling it. 1.5 inches later I was looking at a sewing needle in my tweezers!! It had been in my foot for 5 days, without me even feeling it. My dear wife had dropped it on a pretty thick carpet; it stayed vertical or at an angle inside that carpet, and – lucky me! – I just had to step on it. And I didn’t even feel it enter my foot. I just saw it, days later, after the swelling went away because of the pills. That, as they say, was a real eye-opener. That same night I got VERY serious about shopping for a good solution. 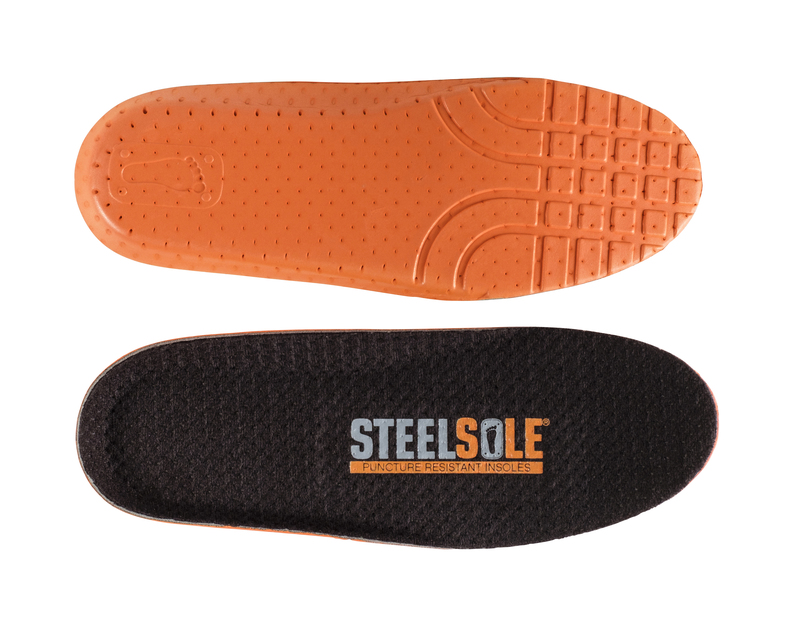 And I found the steel insoles from Steelsole.com. And I ordered a pair, right away. I am absolutely delighted with them. My first pair is going on a year and 4 months now, and gets used every single day. Still in very good shape! Not a single injury since (and yes I still do the same work) and better yet: I am so confident using them that I have resumed my nightly walks again, last summer. Losing weight doing so; and my neuropathy even improved quite a bit. Looking at the bottom of the shoes I wear AND the bottom of the insoles themselves I can see that lots of sharp objects have tried to make it into the bottom of my foot since I bought that first pair; but NONE of those objects ever penetrated the SteelSoles!!! Bottom line: I just ordered and received my second pair. 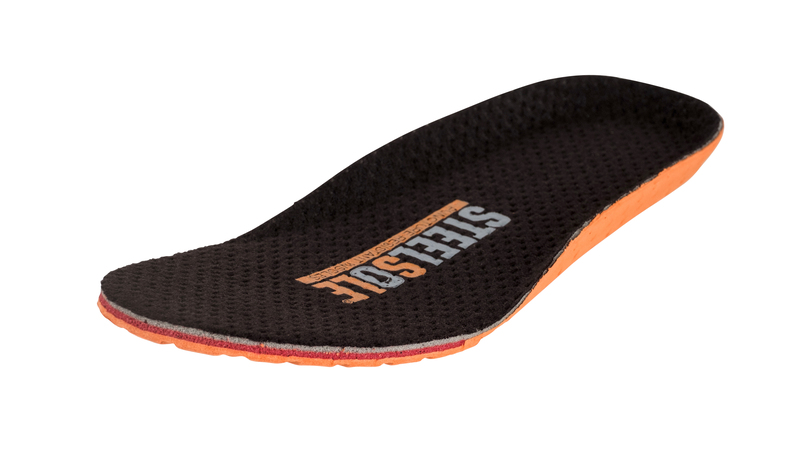 I’m sure that these insoles will one day be a “foot saver”. Yes, perhaps even a diabetic’s life! I’ve ordered these multiple times. This product is actually part of my company policy and in my advertising. EVERYONE in my company MUST wear them. STEELSOLE has DEFINITELY saved me MONEY. 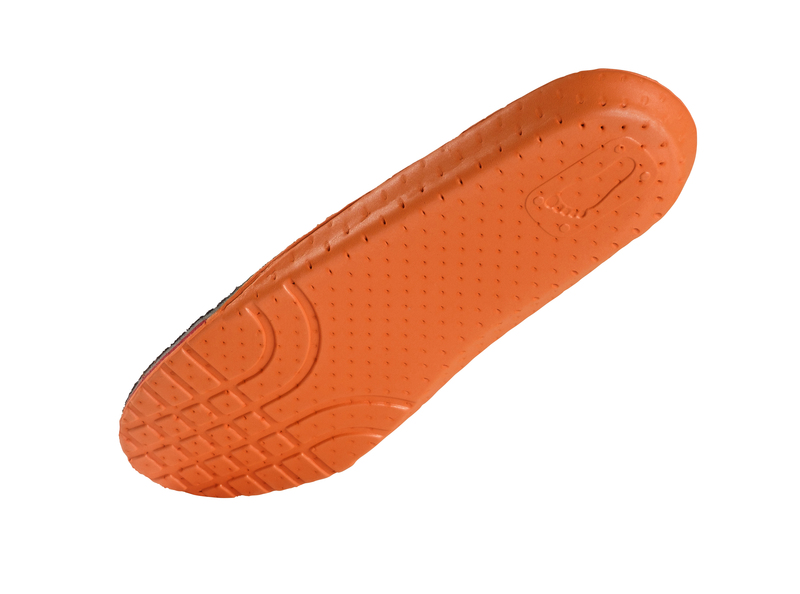 A trip to quick care cost about 300.00 but it can be avoided with a 20.00 insole. As a 25 year roofing veteran, I never had a boss buy these but I stepped on nails. Nails hurt ! If you own a company, specifically a roofing company, buy these!